Healthy habits are awesome, but you actually can have too much of a good thing. Fiber is good for you, but too much fiber? Um, if you’ve done it, you know what I’m talking about. Even too much sleep can make you feel like poo. And exercise is no exception. Problem is, some of the more hidden signs of overtraining are easily overlooked. Trading evenings on the couch for marathon workouts day after day—without adequate rest—is a surefire way to burn out, hurt your performance and possibly get yourself injured. While every body is different and no certain amount of exercise is automatically ”too much,” it’s recommended that you take one to two rest days a week, especially if you’re working out at a really high intensity or with heavy weights. In general, exercising for up to 90 minutes (at a moderate intensity), most days of the week is reasonable and healthy, but you should take into account your fitness level, health status and how you feel. You might already be aware of some of the more common signs of exercising too much, but sometimes the body sends more subtle signs of overtraining. These can sometimes be so sneaky that you may not realize your workouts are causing them at all! 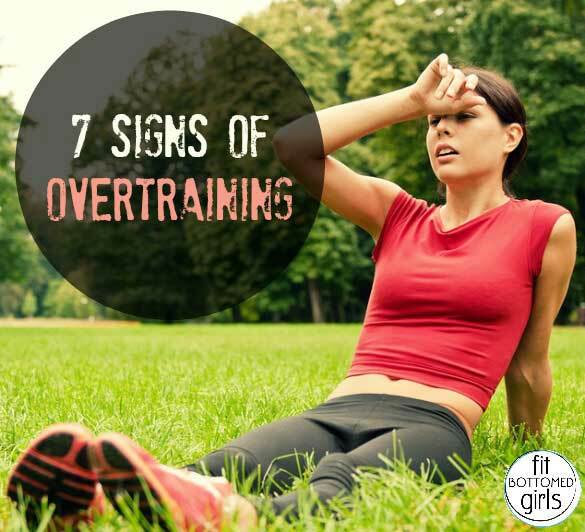 We’ve gathered seven of the unique and misdiagnosed signs of overtraining. While none of these is guaranteed to be caused by spending too much time at the gym (always talk to your doctor), it’s possible that if you’ve been putting in lots of hours at the gym lately, your heavier workouts could be causing these less-than-healthy results. Enjoyed the article although I would like to comment on the part about being sore for days. I agree that most soreness dissipates after 48 hours when you are in shape. However, the popular current theory on prolonged soreness is that the workout caused ‘microtrauma’ to the muscle tissue which causes the muscles to become swollen and sore. While this ‘theory’ makes sense I’m not aware of a definitive study on whether extreme soreness is good or bad. For example I Iove to wakeboard and the first few days of hard wakeboarding after a layoff causes prolonged soreness until the body adapts to the workload and thereafter the soreness is “normal”. Until science proves I am damaging muscle fibers I just chalk it up to getting in shape. Who knows… maybe science will one day show prolonged soreness is better for building muscle mass and getting in shape. I think this is a good article but should be read with caution. Workouts are supposed to make you tired and “heavy legs” are often a sign you did a good job. It doesn’t necessarily mean you need to take the day off. If you are seriously training for something it is good to test your limits to see what you and your body can do.